Sedbergh School is a co-educational full boarding school for pupils aged 13 to 18. Sedbergh School has a total of 508 pupils, with 217 pupils in the Sixth Form. Day pupil fees are from £7650, per term. Boarding pupil fees are from £10382, per term. Sedbergh School is a co-educational full boarding school for pupils aged 13 to 18. 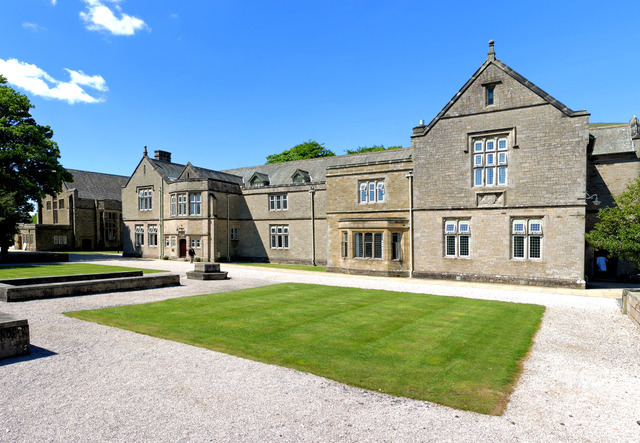 Founded in 1525 by the Provost of Eton, it is located in the Yorkshire Dales and has an impressive history, excellent facilities and a host of famous alumni. An HMC member school, rated highly by both the Good Schools Guide and Which? Guide to Independent Schools, Sedbergh pupils expect to move on to leading universities and the School’s Music, Sport and Drama is among the best in the country. The school’s unique features – from its spectacular and dynamic location, to its outstanding level of pastoral care and commitment to nurturing individual talents and aspirations – help all pupils to become spirited, well-rounded young adults with the confidence to make the most of life. The school is thriving, with its biggest pupil roll of 520 in nearly a 500 year history. Casterton, Sedbergh Preparatory School, including The Mulberry Bush Nursery, is situated just 12 miles away and has 200 pupils aged 4 to 13. At Sedbergh we agree that the purpose of education is the making of the adult, the formation of the individual. It is about learning to be yourself, and more than you thought you could be. High calibre teaching staff act as academic models and our nine boarding Houses nurture our community; the intensity of experience that binds us together transforms achievement from a gift bestowed by others into a habit for life. This is how Sedberghians alter the trajectory of their lives. There is a registration fee of £125 for all pupils and an acceptance deposit of £750 for UK residents, and £2000 for Overseas Residents. Because we are a genuine boarding school we do not currently have Open days in the Senior School. Instead, parents and their children are welcome to visit us at any time. We also encourage boys and girls to take advantage of a Taster, where they can experience the School first hand, staying overnight, going to lessons and joining in games. Tasters can be arranged at any time to suit you. Sorry. No video has been uploaded by the school. Sorry. No prospectus has been uploaded by the school. The morning will begin with registration and a short address from the Headmaster, Dan Harrison and School Principal, Andrew Fleck. You will have a tour of the School and visit to the Classrooms with our Pupils; we will be operating a normal Saturday morning so that you will gain a realistic impression of the School at work. There will also be the opportunity to visit a Boarding House and talk with a Houseparent about pastoral and domestic care at Sedbergh. Lunch will be provided and there will be the chance to speak with Teachers and current Pupils. Please RSVP by Friday 26th April by emailing your details to openday@sedberghschool.org. If you are unable to attend the Open Day but would like to arrange to visit on another date, please contact Senior Registrar, Amanda Ferguson, on 015242 79211 or admissions@sedberghschool.org.